The TeamBest family of companies has been proudly developing, manufacturing, and delivering reliable medical equipment and supplies for over 40 years. 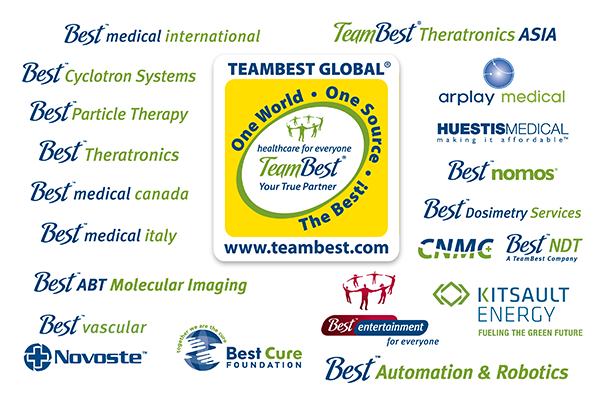 TeamBest includes over a dozen companies offering complementary products and services for brachytherapy, health physics, radiation oncology, blood irradiation, vascular therapy, imaging, and medical particle acceleration. TeamBest is the single source for an expansive line of life saving medical equipment and supplies. Our trusted team is constantly expanding and innovating to provide the most reliable and cutting edge medical equipment and supplies to the global healthcare and research industries. 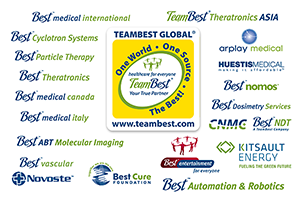 TeamBest started as Best Medical International, which was founded in 1977 in Springfield, Virginia, USA by Indo-American engineer Krishnan Suthanthiran. Initially, Best Medical International employed only a handful of engineers and offered one high quality product, the Iridium-192 brachytherapy seed strand. Today, TeamBest employs hundreds of talented individuals and offers thousands of products and services. TeamBest’s independently owned companies are proud to be represented in North America, Europe, Latin America, Africa, the Middle East, and Asia. Everyone deserves the Best healthcare. Our goal is to work with medical professionals to provide the Best products and services. Our mission is to uphold our reputation for excellence in the healthcare field by developing, manufacturing and delivering cost-effective, high quality products to benefit patients around the world. 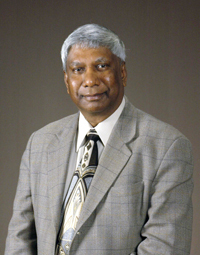 Krishnan Suthanthiran traveled to Canada from India in September 1969 after graduating with a Bachelor’s Degree in Mechanical Engineering from University of Madras, India, to pursue his Master’s Degree in Mechanical Engineering at Carleton University in Ottawa, Ontario. He arrived with a total of 400 Canadian Dollars. Subsequently, he received a National Research Council of Canada Research Assistantship which helped him to meet his financial needs. All of his college education was financed using his merit scholarship and Research Assistantship. He graduated with a Master´s Degree in Mechanical Engineering in 1971 from Carleton University. He moved to the United States in 1972 and worked as an Engineer Physicist at Howard University Hospital in Washington, DC, USA until 1978. Krishnan to be keynote speaker at global health cancer summit - Boston, MA USA, April 29-30, 2016. Open letter to U.S President Barack Obama & the institute of medicine - October 22, 2012.